Should you take a backpack or a suitcase to New Zealand? 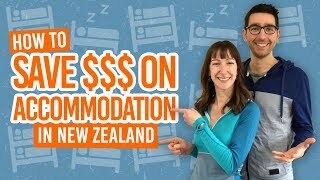 “Backpacking” in New Zealand: it should be obvious from the name, right? For backpacking you take a backpack – end of discussion. However, like all most things in life, just because it is the norm doesn’t necessarily mean it is right for you. What you choose to carry your possessions around New Zealand in for a working holiday will become more important the more you travel and the heavier your bag feels. The way you travel, the destinations you go to, as well as your personal style all determines whether it is better to take a backpack or suitcase to New Zealand. Have you thought about what carry-on/day pack you will be taking on your gap year? Follow our advice on What to Pack in Your Carry-On for New Zealand. 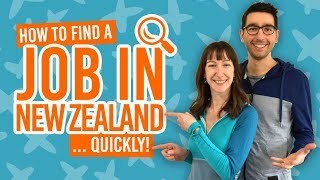 Once you’ve made you decision, be sure to check out our What to Pack for a Gap Year in New Zealand: Predeparture Checklist to see what you should fill your backpack or suitcase with! Should you take a backpack or a suitcase on your working holiday? The majority of backpackers opt for the backpack. A big backpack on your back and a small one strapped to your front while shimmying through a New Zealand township will certainly make you look the part. Getting off the beaten track and/or doing one of the Great Walks is when you know a decent backpack will come in handy. No one in their right mind goes tramping with a suitcase. Backpacks are also easier to handle than a suitcase if you plan to visit destinations that are a bit more “rugged”, perhaps by staying on a farm or doing some WWOOFing. If you are planning to go anywhere that is likely to be away from the tar-sealed roads of towns and cities, then backpacks are easier to carry on this more rugged terrain. A good quality backpack is resistant from airport baggage handler beatings and if the backpack is being thrown from one transportation to another. The same cannot always be said for suitcases: if it isn’t a wheel getting bent, it’s a handle going missing. On the subject of airports, keeping below the weight limit is easier with backpacks because they tend to fit less in. With careful planning, however, you can take more stuff with you to New Zealand in a suitcase if you keep an eye on your baggage weight. A good backpack will have many compartments for easy access – no fumbling in your bag for hours as you try to find your wallet when checking-in at a hostel. It’s also easy to strap your tramping boots or jandals to the outside of your backpack, keeping your clothes clean from shoe filth. Choosing a backpack is very important, so we have devised a guide: How to Choose a Good Backpack. Super strong people will not find this an issue, but with a backpack you have to make like a turtle and carry everything on your back. This can be heavy and feel heavier with each step taken. They will look over at a suitcase-puller in envy as the suitcase glides along the ground. However, the tables are turned when a backpack-carrier sees a suitcase-puller try to tackle a staircase. Mwahaha! If you are planning to just stick to the urban areas of New Zealand – it’s towns and cities, then a suitcase will see you through your trip. As long as there are hard and smooth surfaces in your life, you’ll be sweet. Just unzip your suitcase with ease and watch as your possessions lie in plain sight. Despite handy compartments, the main compartment of a backpack is like a black hole where you may find yourself taking everything out of the bag to find your favourite togs. Then the repacking commences and the vicious cycle continues. Having your own car, camper or rental vehicle often means you have the convenience of parking right outside your accommodation. (Or the accommodation is your vehicle in the case of the campervan). This means you don’t really need to carry your luggage too much other than the airport. So for the advantages stated above, having a suitcase would be ideal in this situation. Likewise, if you are on one of the hop-on hop-off bus tours or a standard bus tour through New Zealand, then they are likely to drop you off right outside your accommodation.